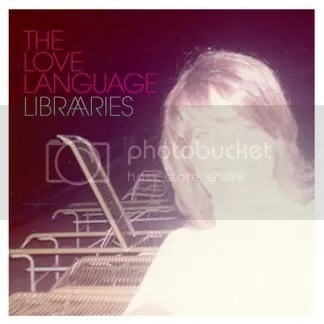 Libraries is North Carolina’s The Love Language’s second album. I liked their first album and I like this one, too. I like the faster songs the most – they are at their best when they get the tempo cooking and the instruments rocking and everyone singing and yelling and making noise all at once. File under: indie/college pop/rock. This entry was posted on July 7, 2010 at 12:00 pm and filed under TheSlacker. You can follow any responses to this entry through the RSS feed. « THE WAVES – Shock Horror!